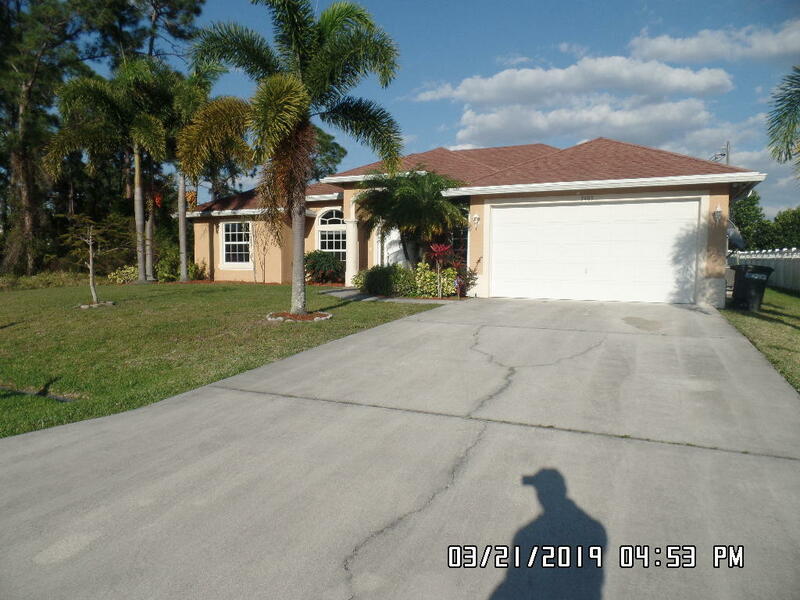 ***Charming Royal Wall Construction 4BR/3BA/2 Car Garage CBS Home with Screen Porch***, granite kitchen countertops, S/S appliances, Tile throughout, under-truss screened back porch which faces east for afternoon shade & breezes. Cabana bath, move-in-condition.close to I-95, mother-in-law suite, close to shopping, peaceful, good family neighborhood, Must see to appreciate. 10' ceilings, tray ceiling in master bedroom, arch ways into kitchen & hall, oversized columns together with an excellent split layout including separate suite with cabana entrance from the screened patio make this a special home.